“Yes, I can hear you, Dan Kano,” I answered. “I am not trying to refute what you have said about the ubiquitous security upheavals in the country particularly in the northern states of Zamfara, Benue, Kaduna State and the north east where there are calamitous security challenges, the total number of 149,669 Nigerians graduate receiving their N30000 monthly stipends through Npower scheme or the recent N9 billion Hadejia Irrigation Valley Scheme (HVIS) rehabilitation project the president launched in Auyo Local Government Area of Jigawa State. Look, I say a big thanks for that. The credit goes to him. Of course, I have read of how more than 5,870 illegal arms and ammunitions have been destroyed by security agents this month in Zamfara State and many arrests made in Benue State, Taraba State and Birnin Gwari. I am in the know of Aminu Tashaku’s arrest. “I have a question – just a question. This question is rooted in the belief that President Buhari has come into power purposely to fix the serious damage done to this country. I have invested all my hope – so also my kins – in this government from the very moment the president flagged off his campaign to date. I don’t have to tell you of the swarms of supporters I joined on Zangeru Road, Kano, to welcome Muhammadu Buhari’s campaign team to the state. So was with almost all the northern States. You can ask why. It is because the people have so much entrusted in him, knowing how in his short-lived administration he had fought indiscipline and corruption with the last ounce of his power that led to the overthrow of his government and earned him imprisonment. This is a clear sign of corruption fighting back. War between the forces of evil and that of good is as old as the world itself. Excuse me for a moment. 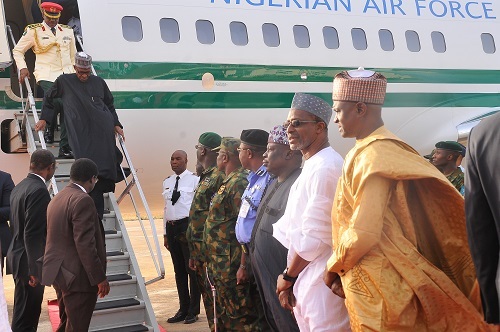 “Two years later malam, we are still waiting for the clouds to gather – clouds that will even the score of our investment in this government for it has rained in other regions, with the South West witnessing the highest number of downpours in the form of infrastructural projects, followed by the South East. “Remember South West has got its recompense from its investment in bringing APC into power in 2015. Just take even a cursory glance at Lagos-Ota-Abeokuta N56.701 billion road project, the ongoing Oyo-Ogbomoso dual carriageway, and Lagos-Ibadan standard gauge rail. These projects once completed, no doubt, will transform south west political zone into a gigantic economic hub in recent future. This is perhaps because they have clear-cut agendas for their region, someone told me after listening to my unending complaints. Should this be the reason I should have written one for the north. “Hold on. Albeit all this, on 6th December, 2017 – still waiting for the rain – I arrived at the two-carriage, mighty Hadejia Road, Kano, at 8:30am. I met a sea of heads there patiently waiting for the president’s arrival. To me, to them too, no amount of campaign of calumny will eclipse the president’s star in my heart and theirs too. As his motorcade poked its nose, people made hedges of themselves. Some were pushing through the hedges and the security agents were restraining them. The gathering was on a mission. The people wanted to say something – an idea. They could not let go of the urge. In unison they said, “Sai Baba“, raising their fists. Why? Because they so much believe he can do it – some have been nourishing this strong belief in him since 1985. One year later – still waiting for the rain – the federal government is investing N16.6 billion out of N100 billion Sukuk proceeds in road rehabilitation in the south east. Perhaps you have not heard of Port Harcourt-Aba Road, Abriba-Arockuwu-Ohafia Road, Orji-Achi-Obeagu-Mbaku-Awgu-Ndeabor-Mpu-Okpanku Road, the Ikot Ekpene Border-Aba-Owerri Road or Second Niger Bridge projects. I hate that debate of their being anti-Buharists or that they had voted against him. I do not care whether they have cast their votes for him or not. As long as they are Nigerians they deserve much more than this; and remember his saying, “I belong to everybody, and I belong to nobody”. He is right as a true leader should feel duty-bound to serve everyone. All I care is I canvassed 1,903,999 votes for him in Kano, 885,988 in Jigawa State, 1,345,441 in Katsina State and 1,127,760 in Kaduna for instance. I think I deserve something in return. “With all that Jane B. 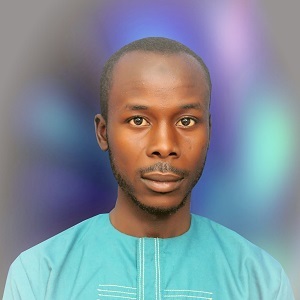 Singer would call “agenda-setting mischief of both the mainstream and online media”, the ongoing slandering against the president aimed at giving his government a bad name in order to hang it, and mistrust of our security forces created by media-hype, I have seen how my kiths and kins in Jigawa State – on May 7, 2018 – came out in droves, during the president’s two-day working visit to the state, to welcome him and pay their allegiance. They were all smiling. They would not be cowed. “Thousands of them left their businesses, farms whatnot, to entrust him once more with the resources and the future of this country. I could see ants of supporters – young and old, men and women – drawing nearer. They were mumbling something by the movements of their lips. You could see their upper and lower lips coming together and parting. As they came nearer in accord they uttered resonantly, “Sai Baba“. Why? Because they too believe he can do it. “Back to my question; as Professor Abdussalam Umar Jibia would say ‘it is true the love Buhari enjoys amongst his people is still there’.. They have that unwavering loyalty for him. All I need – everyone too – is some explanation on why things are not going the way I expect them to be. Why other geo-political zones are benefitting much more than I do despite the incomparable number of votes I cast for him? For God’s sake when will the hour hand of the clock of national resources distribution point at the North? Answer me,” Dan Kano asked this impossible question at last. “It is a pity, Dan Kano. I have listened to your clamouring; it is far better to be blunt than mealy-mouthed. No amount of words will aptly placate your saddened heart, but my fear is rash actions. Had you listened to the president’s speech during his working visit to Jigawa State you would have taken the same stand as I. After repositioning the economy, I envisage an entirely new system. I picture a secured and poverty-free north, network of roads dotting its expansive landscape, sustaining agricultural activities at their peak, the flag of jobs creation waving and educational opportunities flowing like water,” I replied.